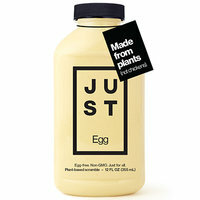 This product is called JUST Egg, but don’t let the name fool you: There's NO EGG in it. It’s a vegan-friendly swap that scrambles up just like raw eggs! 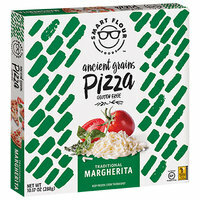 It's made from mung beans, which means major protein. It also happens to be free of cholesterol -- good news if you’re watching your intake. Plus, it comes in a fun squeezable container! Click here for locations, and give it a try. If you love movie-theater-style popcorn but don’t want all the calories and fat, this all-natural lineup from Angie’s will make your day. Toss a bag in the microwave, and it’ll POP RIGHT UP into a bowl full of yum! 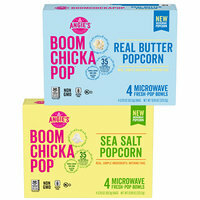 The Real Butter and Sea Salt varieties are excellent, but we're especially crazy about the Lightly Sweet Kettle Corn. Grab some for your next movie night… Available nationwide! It’s Day 21 of our Happy Chew Year Challenge! Prepare ONE healthy thing today that you can eat throughout the week. Click for ideas! Pass along all these amazing finds! Click "Send to a Friend" now.